The high point of your 'Day in Science'? We gather hundreds of stories each year. They come from high school students, a Nobel prize winner, microbiologists, particle physicists, criminal investigators, psychologists, teachers, astronomers, dentists, laboratory technicians, archaeologists, and science communicators. Spain, France, the United States, England, Scotland, Uruguay, United Arab Emirates, China, Japan, and -- of course -- Australia are all represented. Stories are assembled here each year by a team of dedicated university students in science and science communication. As an amateur effort, quality varies, but enthusiasm and authenticity remain high. We are showing school students where they can go in science, anywhere in the world, from Paris to the Antarctic, from KEK to Brookhaven, from a school desk to the editor's desk. Multi-media reports are created each year by students who "shadow" professionals in the world of science; by high school students who shadow university students; and as diary entries by scientists, science communicators, engineers, nurses, students, and others. They include photos, drawings, audio. Record a diary entry of your own and add images. Each individual profiled is characterised by a five-question "personality test". The answers enable a high school student to find the profiles of scientific professionals who have similar 'personality traits' and preferences to their own. They can identify someone like themselves, even if they do not know that the professional's specialty exists! WWDS Ppt (5 Mb, plays automatically for 5 minutes). Share the slide show with friends, colleagues, teachers, and classmates who might want to join you in participating. The "Day in Science" project combines elements of science journalism and the photo essay to capture a virtual event with multi-media and weblogging. Our forum welcomes podcasting and mobcasting as well as use of flash animation. A simple paragraph of text is welcome, as well. 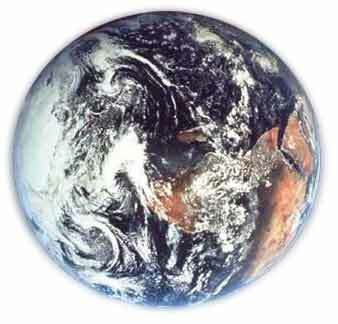 Our aim is to employ the 'social networking' functionality offered by the web to make science personal. We want to welcome readers and viewers into science, into the life of science, rather than merely offering scientific information. * Write the story after the Day itself, but make some notes on the Day. The target date is employed as a theme to tie all the stories together. * Lounging in the sun on the Day in Science is okay to report. Include thoughts about other significant days in a scientist's life that she or he (or you) may have reflected on during that day. So, be sure to refer to what happens on the Day, but feel free to discuss other interesting days, and date your photos! * The date for the Day in Science often occurs just before a break in the term for many educational institutions, but right in the middle of a break for others. My apologies if it is inconvenient for you. Please adapt to the date selected each year. 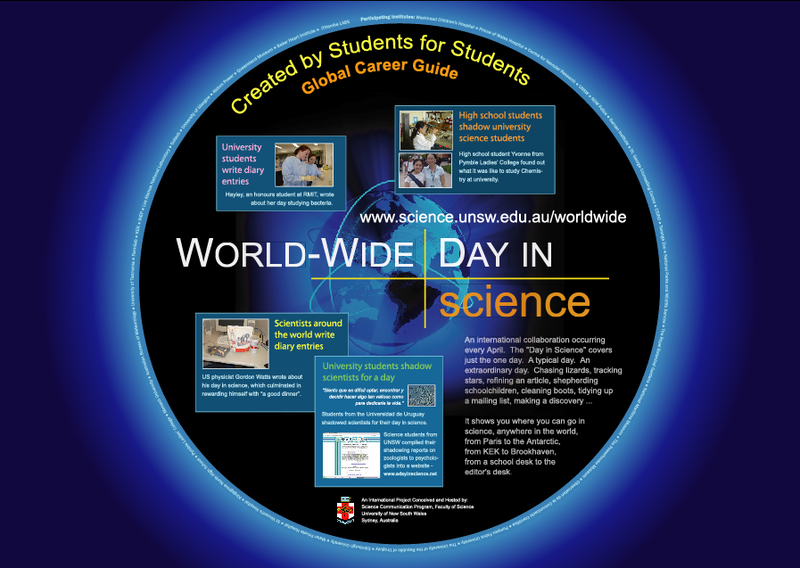 The World-Wide Day in Science is an international project hosted by the Science Communication Program and the EdSquad in the Faculty of Science, University of New South Wales, Sydney, Australia. The project was conceived by Program Director, Will Rifkin, PhD, and piloted by Advanced Science undergraduates of UNSW.